Winward Casino was first established in 2008 and is under the management of Blacknote Entertainment Group Limited. The casino offers table games, slot games and live casino from major providers like BetSoft and Visionary iGaming. The casino runs under a license from Curacao Government. Players at Winward Casino are guaranteed an awesome gaming experience. 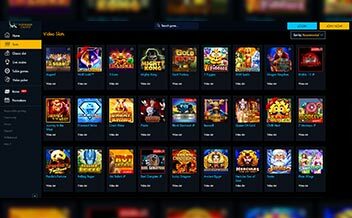 The casino offers a wide range of casino games and a 24/7 customer support available via email, live chat, and mobile. The casino also offers new players lucrative bonuses as a welcome bonus. 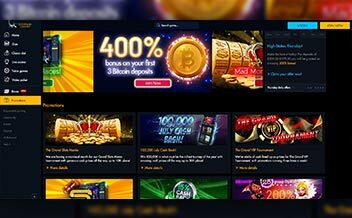 The casino offers players a 200% bonus for the first deposit of up to $200. This bonus has a wagering requirement of 35x, and the minimum deposit amount required to trigger the bonus is $10. The winnings from this bonus will expire after seven days if a player fails to meet the wagering requirement. The slot games available at the casino are among the best titles in the casino business. The titles at the casino have been designed to have amazing features to make the experience more fun. The games available include Sugar Pop, Diamond Strike, Stampede and Chili Heat among others. The table games available at the casino have amazing graphic designs, across all the casino platforms. The table games available include Baccarat and different variations of Blackjack and Roulette like Zoom Roulette, and Super Seven Blackjack among others. The casino has an amazing interface that is easy to navigate for any new player. 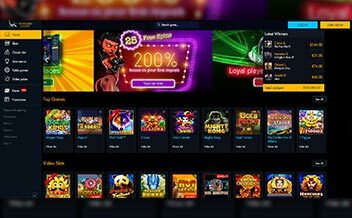 The casino providers have ensured that every player’s preference has been covered when it comes to the games selection. These providers include BetSoft, Microgaming, Visionary iGaming, Parlay, Habanero, Rival, IGT, and Pragmatic Play. Antigua, Australia, Belarus, Belgium, Bulgaria, Costa Rica, Israel, Italy, Poland, Ukraine, The United States and The United Kingdom among others. Bank Transfer, Neteller, Skrill, Bitcoin, MasterCard, Visa, EcoPayz, PaySafe Card. The casino is accessible on mobile and instant mode. Players do not need a download app to access the casino games; you can just log in with your details into casino site via your mobile or tablet and get to enjoy the casino games. The casino is compatible with the Android and IOS devices. The casino has a good review from many players, but the long payout speed of seven should be reduced to make the experience worthwhile. But Winward Casino is fairly a good casino worth checking out, join today!